BrightPay allows Weekly, Fortnightly, 4-Weekly, Monthly, Quarterly and Yearly payroll to be run simultaneously, if required. 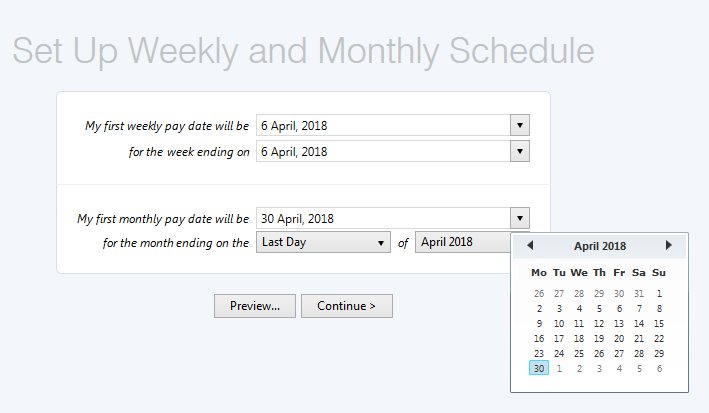 After allocating a pay frequency to an employee within their employee record, BrightPay will recognise the pay frequencies that are required for the employer. 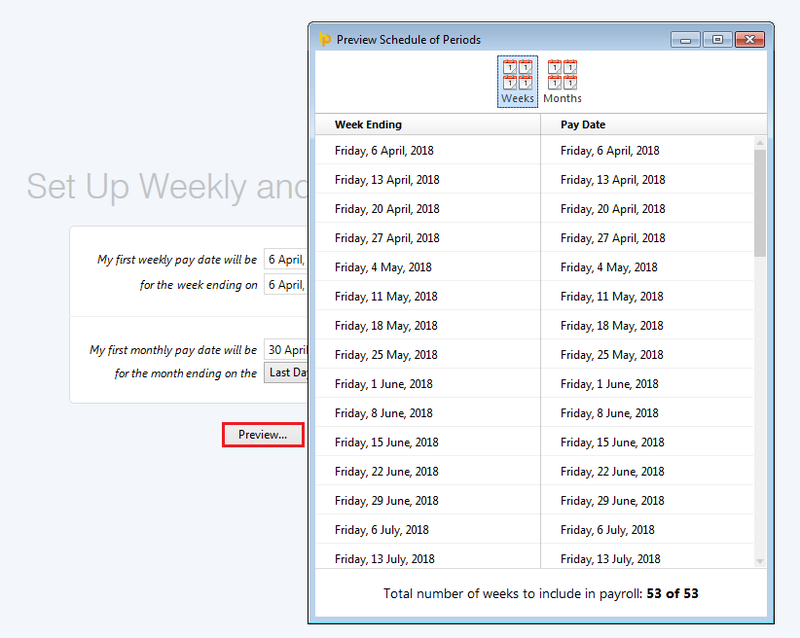 Before payroll can be processed within the Payroll utility, you must first set up the payroll schedules you require. a) First, select your first payment date and then select the period you are paying for. b) Repeat for each payroll schedule you require. c) To preview your schedule of periods, simply click ‘Preview’. This is always recommended for you to check that you have the correct number of pay periods you require for the year. d) Click ‘Continue’ when ready to set your payroll schedules and to start processing payroll.